SOMI’s in the mood for Dr. Smood. Step into a real sense of quality in the surroundings, the customer service and the excellently prepared selection of organic foods and beverages. 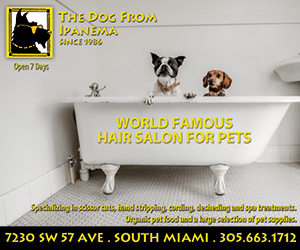 Catch the vibe in this exceptionally designed and trendy health food boutique as South Miami realizes the launch of a new standard for healthy organic food experiences. Capturing a prominent corner on Sunset Drive, with the panoramic windows opening onto the sidewalks, Dr. Smood is a very welcoming location, designed for congregating or simply catching up on a book or video. Headed up by the co-founder of Pandora, the world’s largest jewelry company, Danish business developer and strategic visionary, René Sindlev and his wife, Patrizia Manici Sindlev, an Italian model, actress and architect, Dr. Smood has been in development with an extensive R&D team for a year and one-half in Europe. 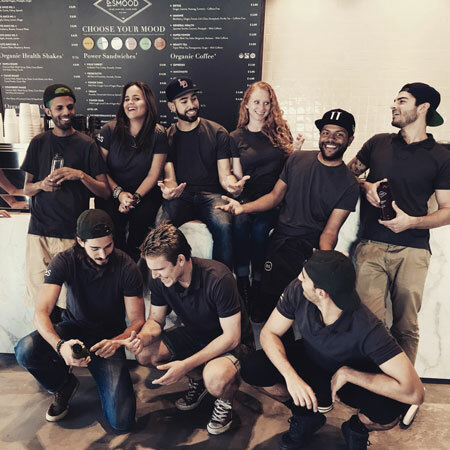 With Patrizia’s interest in healthy living, good tasting food, beauty and aesthetics and René’s successful business acumen they decided to create Dr. Smood – the first smart food boutique café specializing in health beneficial organic food and beverage. The menu and products are presented in five color-coded categories: immune, energy, general health, beauty, detox and super power. Dr. Smood offers four detox program levels, mindful teas, organic espresso beans and both pre- and post-cleanse menus, juices, boosters and supplements, sandwiches, breakfasts and salads. There are green juices, fruit juices, shakes and “smoodys,“ raw soups and organic power pastries. 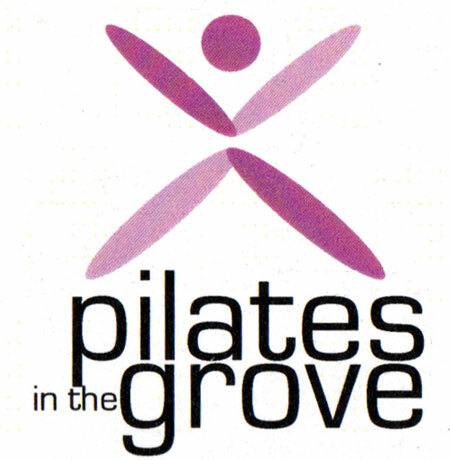 The PILATES IN THE GROVE brand opened a satellite facility in South Miami in late December. 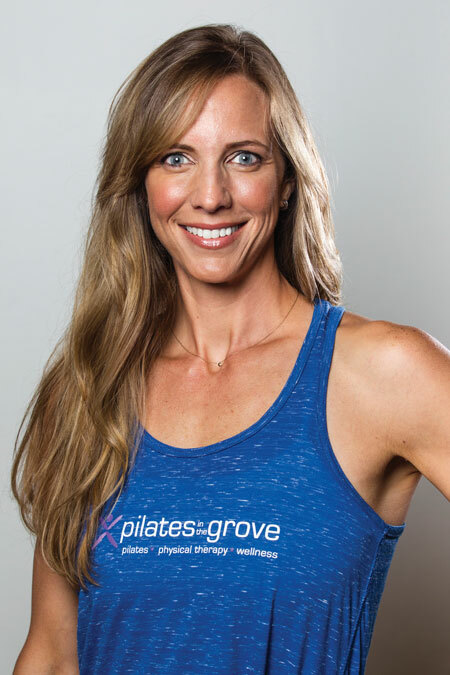 Business owner Christa Gurka was raised in Coconut Grove, going to Ransom Everglades, and was introduced to pilates while in Physical Therapy classes at the University of Miami where she received her baccalaureate degree in Health Science (1996). 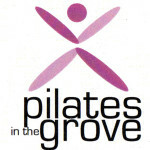 Christa received her post-graduate degree, Master of Science in Physical Therapy from Michigan in 1999. In her work she realized fitness to be applied to physical therapy and has spent the majority of her career working as a physical therapist in outpatient orthopedics. 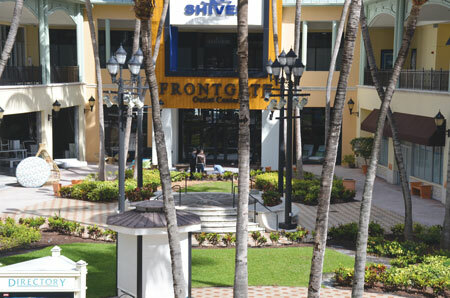 Frontgate, a luxury furnishings retailer, recently opened a 23,000 square-foot outlet at The Shops at Sunset Place, in a space that was previously inactive for years in the open-air center. 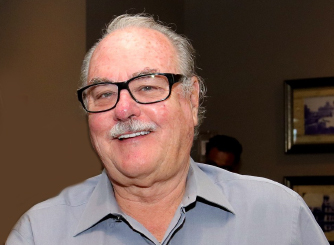 Frontgate was the first tenant announced at The Shops at Sunset Place since it was acquired in October for $110.2 million by a joint venture between Federal Realty Investment Trust, Grass River Property and Comras Company. 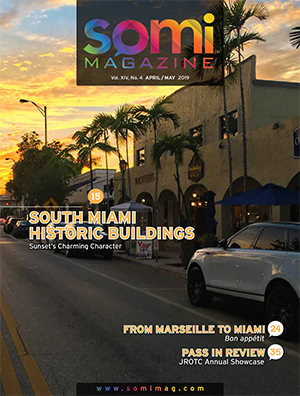 Frontgate is located at the far corner end of the center on US1. KIJANA Salon & Blow Dry Bar recently opened in the former D&L Hair Studio at Plaza 57 on 57th Court. 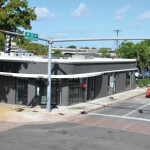 This is a second location owned by Kihjuana Mack, with her first in Coral Gables at 2603 Ponce de Leon. Kihjuana grew up in the salon business in Oakland, California, working at her aunt’s salon and her great grandmother was a hairdresser. In pursuing her career she worked in some Napa Valley spas for some ten years before moving to Miami. Style and fashion conscious, she also has modelling experience. 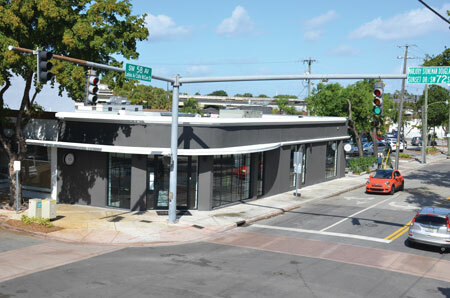 Over the course of many years, several cigar stores opened and closed on the corner of US1 & Sunset Drive. 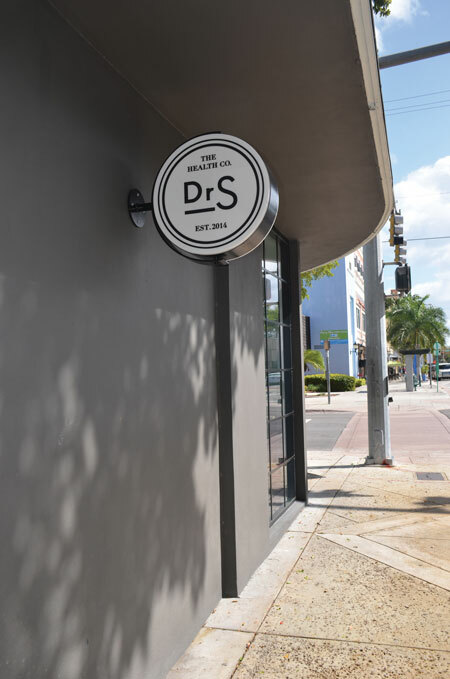 CIGARS AT SUNSET is the latest venture in the showcase space of the historic Dorn Brothers building and is off to a fast and very knowledgeable start. Benny Gomez, Luis Sanchez, Unnamed Indian with Light Sabre, Jackie Capin & Alex Herrera. 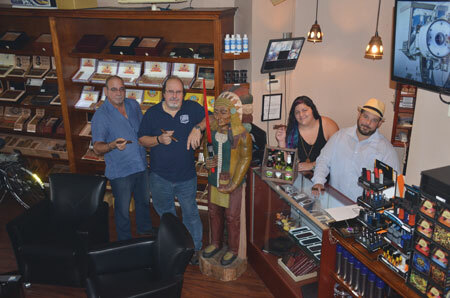 A partnership team of deeply-rooted cigar producers and industry professionals with a combined knowledge of some eighty years in the industry has acquired the two-story space. The team is comprised of Alex Herrada, Luis “The Mad Scientist” Sanchez, Benny Gomez and Jackie Capin. 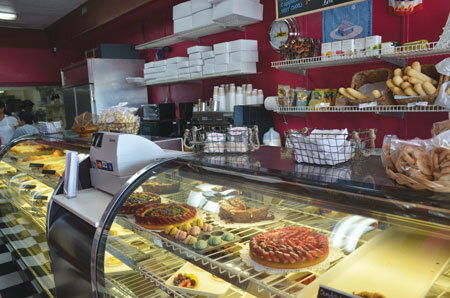 For the past fifteen years, brothers Didier and Pascal served up French baguettes and pastries at their location in the “blue mall” on Red Road. They sold Le Royal on December 1st to Corina Lujan, a native Venezuelan. 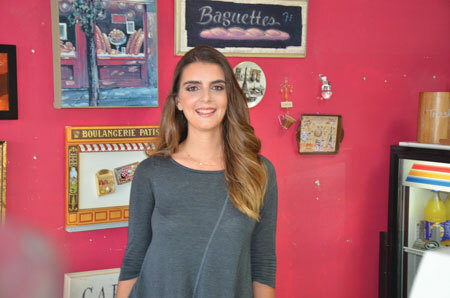 Corina is a pastry chef with her certification from the French Culinary Institute in New York City (2009) and her degree from Johnson & Wales (2013). Prior to coming to the States, she had a catering business in Venezuela, with a concentration on desserts and wedding cakes. She likes the rustic feel of the store, and will look to introduce more modern colors. 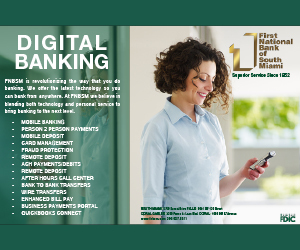 She’ll keep the name, change up the logo and prepare more cakes, sweets, muffins and pies.